Healthy Diet — this is a proper diet. Many women believe that dietary fat is unhealthy and contributes to weight gain. But fats are an essential part of a healthy diet. To look good in the diet of a woman must be healthy fats. — Healthy fats will improve your mood and improve memory. Fat is necessary for the healthy functioning of the brain. -Health Fats contribute to a healthy pregnancy. Fat is particularly important for the development of the brain and nervous system of the unborn child. — Healthy fats — the source of your lifetime beauty. Fat is necessary for the health and radiance of the skin, hair and nails. The lack of healthy fats in your diet can cause flaky skin, brittle nails and dry hair. -Health Fats help to control appetite. They contain enough calories to stay longer full. 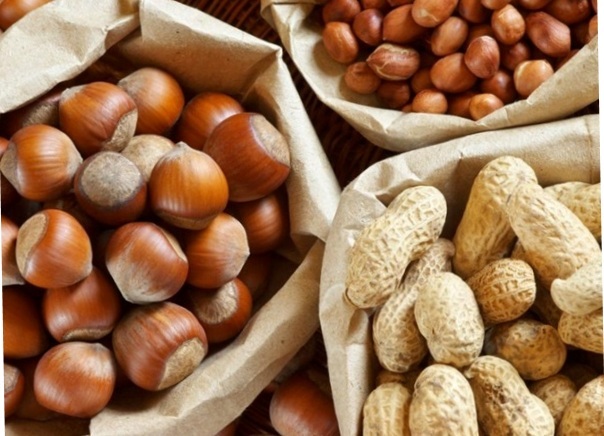 A small amount of good fats, such as nuts or seeds — a great option for a snack. — Fats reduce the glycemic index of foods by slowing down the absorption of sugar in the blood. — Fat is needed to absorb some vitamins. Many important vitamins, including vitamins A, D, E, and K-are fat-soluble, i.e. in your diet must be fats to absorb them.